Home Blogs Let Canadians Vote! Constitutional challenge failed. TICOBULL – This is for Canadians only living in Costa Rica (and anywhere but Canada). Your help is needed to raise funds to launch an appeal to the Supreme Court of Canada to secure voting rights. 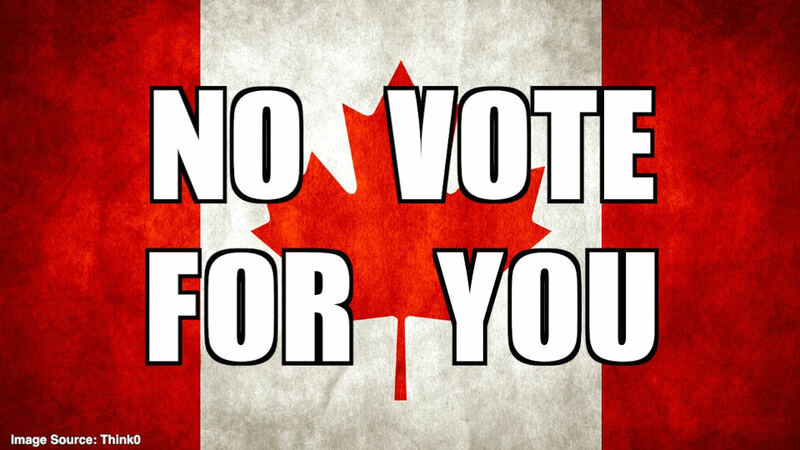 In 1993, Canadians living abroad more than 5 years, had their right to vote withdrawn. For a while, Canadians were able to reset the 5-year clock by returning to Canada on vacation. That policy changed in 2011, effectively disenfranchising 1.4 million Canadians around the world. A lawsuit was filed in Ontario Superior Court 2012 by two Canadians living and working in the USA, resulting in a 2014 decision that the policy of restriction was unconstitutional – oh, we were so happy to get the vote back! Then, the federal government appealed and the decision was overturned on July 20 this year, creating a backlash amongst expats around the world. Up to now, a Toronto law firm has been working pro-bono but it is an expensive and lengthy proposition to take the appeal to the next step, the Supreme Court of Canada. Thus, a GoFundMe campaign was launched this week at www.gofundme.com/ourrighttovote. The attached Press Release announces the campaign and more background is found at www.letcanadiansvote.com. FOR IMMEDIATE RELEASE: Canadians living around the world launch their “Our Right to Vote” Gofundme campaign on August 21 to secure the right to vote for Canadians living abroad. These Canadians set out to raise $50,000 on GoFundMe, in order to launch an appeal to the Supreme Court of Canada to challenge an unjust law that strips 1.4 million Canadians living abroad of their right to vote. Two Canadian citizens, Gillian Frank and Jamie Duong, who both live in the United States started the “Our Right to Vote” campaign. Gillian and Jamie filed a lawsuit against the Canadian government in 2012 after they were denied their right to vote in the 2011 federal election. Their campaign has grown to include Canadians from all around the world frustrated by their disenfranchisement and violation of their constitutional rights. Canadian citizens are still Canadian, regardless of where they live. Canadians abroad are aid workers, teachers, advocates, journalists, business people, entertainers and athletes. They have families, friends, and loved ones in Canada; host Canada Day parties; and love sharing Canada’s diverse culture and values with others. Canadians abroad are informal ambassadors who share with the world what it means to be Canadian. More importantly, they are still citizens of our great country. of Canadian democracy and ensure our fundamental rights and freedoms.